We are located in the heart of Franklin County, gateway to the Berkshires in Western Massachusetts. 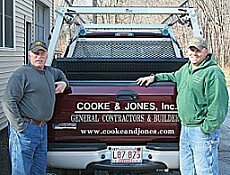 We serve homeowners and businesses throughout Southern Vermont and Southern New Hampshire as well as Western Massachusetts. Feel free to use the contact information or the email form below to contact us.